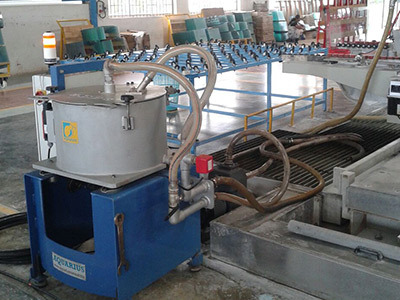 Separators clean grinding water, coolants and other process liquids reliably and without use of consumables. Purely due to the high rotor accelerations and the fluid-dynamical design, finest particles are effectively separated and discharged as dry residues. Clean water will improve the grinding performance and increase life of coolant, tools and the machine. The separated sludge is perfectly compressed and does not require further drying. These separators help in saving water, time, disposal costs and space. 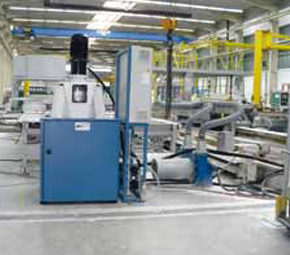 By making flocculation chemicals completely obsolete there is no more clogging of grinding wheels or system piping, the water stays free from salt and the machine stays free from rust. Absolutely clear water recovery is possible with perfect combination of Back-Flushing Microfilter Clear Tube Sytem for CNC machining centre spindles or glass washers. 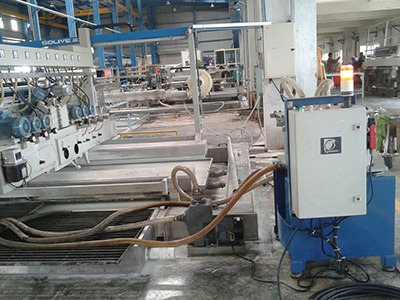 Without any consumables and fully automatically, the ClearTube generates crystal clear water (NAS7/8), even from heavily polluted grinding water. Combined with the separator, the periodically back-flushed slurry is just separated together with the grinding water. Hence there is only dry sludge collected in one place.